A chronicle of the life of jazz singer Sarah Vaughan, one of the most influential and innovative musicians of the twentieth century. Queen of Bebop depicts Vaughan as a musician's musician, tougher than the rest. 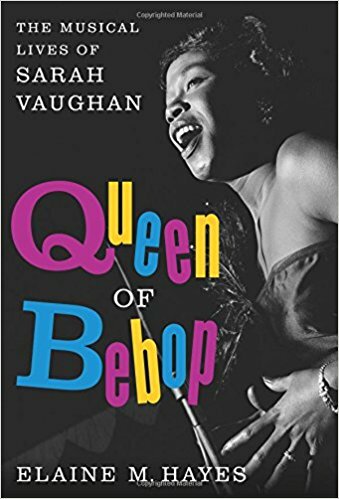 As a singer and piano player, she took to the challenging structures of bebop as if she'd made up the modes herself ... Queen of Bebop adds detail to aspects of Vaughan's life that confounded even her most besotted fans. The music critics, disc jockeys and promoters who championed her work early on became frustrated with Vaughan the jazz singer vs. Vaughan the pop singer ... But Hayes offers little fresh insight into controversial decisions over which Vaughan had complete control — particularly in the hiring of inexperienced husbands and lovers to represent her in business ... Queen of Bebop is a welcome and well-researched accounting of Vaughan's life story. It's also a testament to the singularity of her talent. But perhaps the book's greatest accomplishment will be more ears on Vaughan's music. It reads like a graceful doctoral dissertation, sensitive to Vaughan’s technical gifts and the development of her art. But it goes awry in its attempt to politicize her as a civil rights and feminist groundbreaker — as though her artistic stature alone would not have justified this book ... Overtheorizing strains her study of the featherweight hits Vaughan recorded in the ’50s for her new label, Mercury ... Despite what the author states, Vaughan was no 'race woman'; she was not inclined to march, campaign or crusade. Her racial significance is more that of a high-achieving, abundantly talented black woman who inspired by example ... Her true legacy was summed up to me by the jazz singer Dianne Reeves, who recalled her first response to Vaughan: “You mean, there are those kinds of possibilities?” On that score, “Queen of Bebop” leaves no doubt. This comprehensive examination of Vaughan’s life and work benefits from Hayes’s technical knowledge of music and her thorough research on the historical context ... Following that crossover journey yields a solid narrative that documents Vaughan’s struggles, triumphs and unprecedented success as a 'symphonic diva, singing jazz in venues previously reserved for classical music and opera'...While useful for organizing a linear narrative of Vaughan’s career, one of the unfortunate limitations of this approach is a devaluation of the so-called obscure period ... Hayes does an especially good job of explaining the musical landscape of postwar white America ... while drug use and bad relationships are a reality, they do not dominate Hayes’s presentation of Vaughan’s life; they do not take away from the centrality and enormity of her talent and musical contribution. This is as it should be. What did you think of Queen of Bebop: The Musical Lives of Sarah Vaughan?